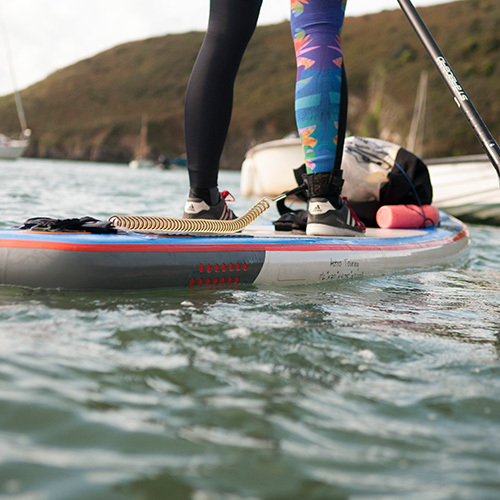 Join us for a full weekend of incredible coastal paddleboarding and camping in Pembrokeshire and experience some of the finest sea paddling in the world (seriously!). 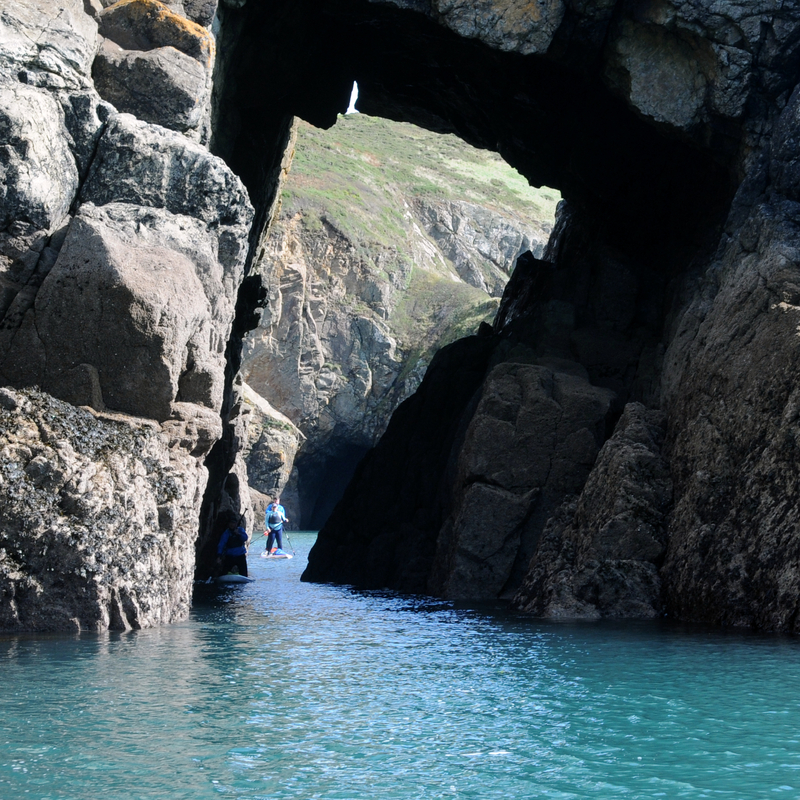 We’ll spend two awe-inspiring days exploring the rugged cliffs, sandy beaches and crystal clear waters of the spectacular Pembrokeshire coastline. 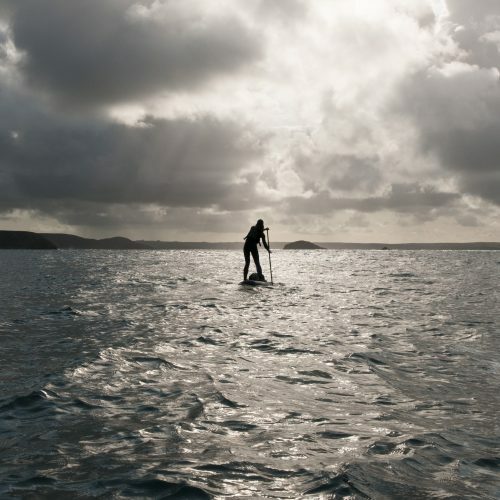 This is what paddleboarding is all about. 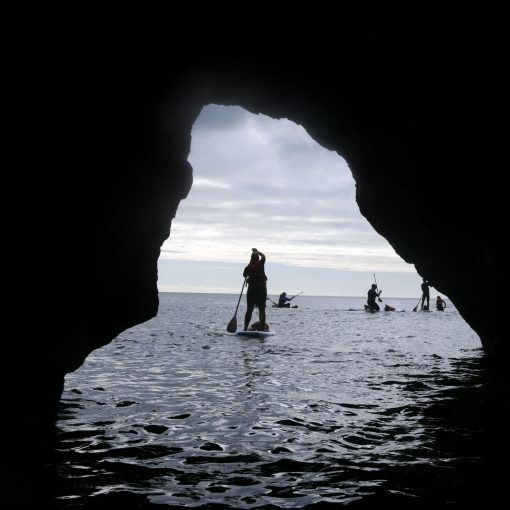 During the day we’ll share the water with seals, porpoises and a multitude of sea birds, paddling at the base of jaw-dropping cliffs and resting on secluded beaches. If weather permits, Saturday night will be spent watching the sunset and BBQ-ing on a clifftop campsite. 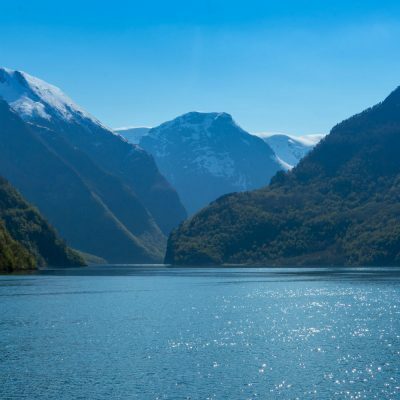 This trip is an enormous success every year and sells out quickly. Book soon! 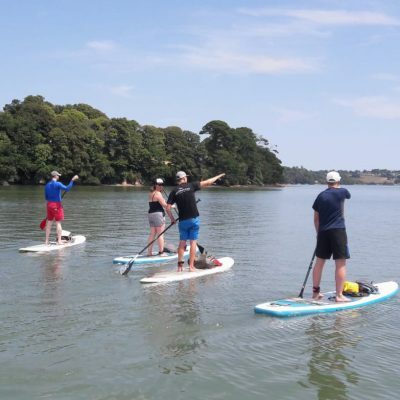 Transport to and from Wales – we will set up a Facebook group to arrange car share nearer the time to keep costs down. 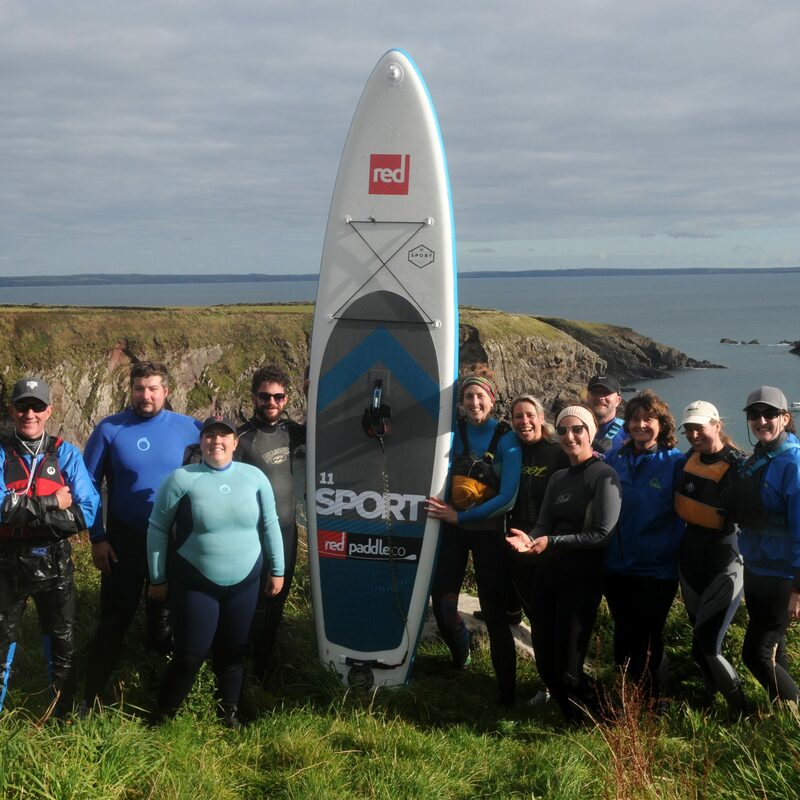 Although we plan all of our journeys based on the group, you’ll need to be confident paddling as a member of a group in sheltered conditions. 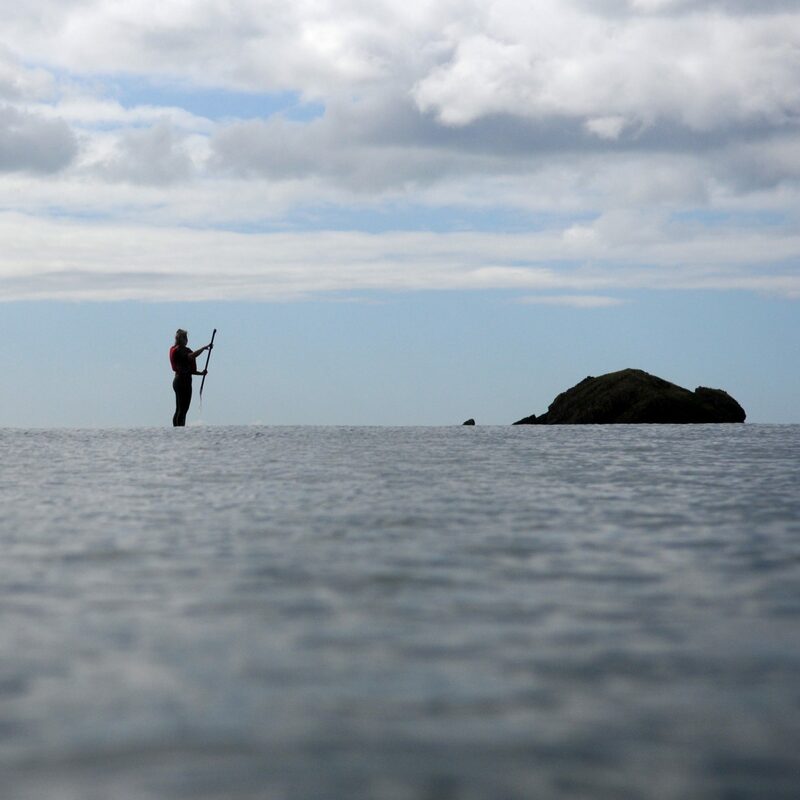 You’ll need to be reasonably fit to paddle for two days and to paddle into the wind in a kneeling or prone position. Please get in touch if you’re not sure you’re up to it. 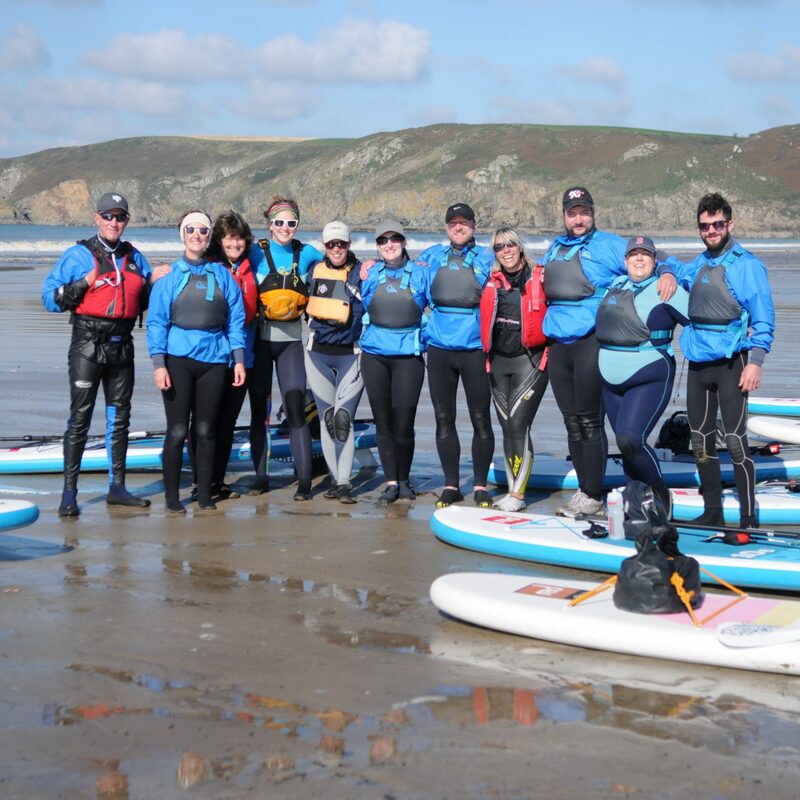 Although this is not a coaching course, we’ll find time to talk through the day’s plans together as a team – looking at logistics, tides, emergency planning and communication, weather and group management.